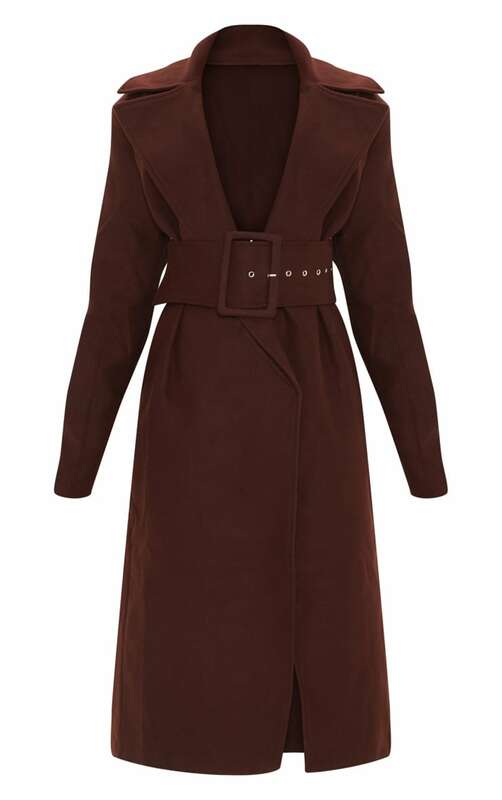 Cinch in your look with this chocolate brown belted coat. Featuring a chocolate brown material, a wrap waterfall front and a belted waistline. Keep your look neutral and style it over a chocolate hue combo and heeled camel boots for a simple but chic look.